On the occasion of the visit of French President Emmanuel Macron to Sweden, Alstom presents its electric road project at the Volvo Group headquarter in Gothenburg. This innovation contributes to cleaner mobility, and broadens Alstoms green solutions portfolio. 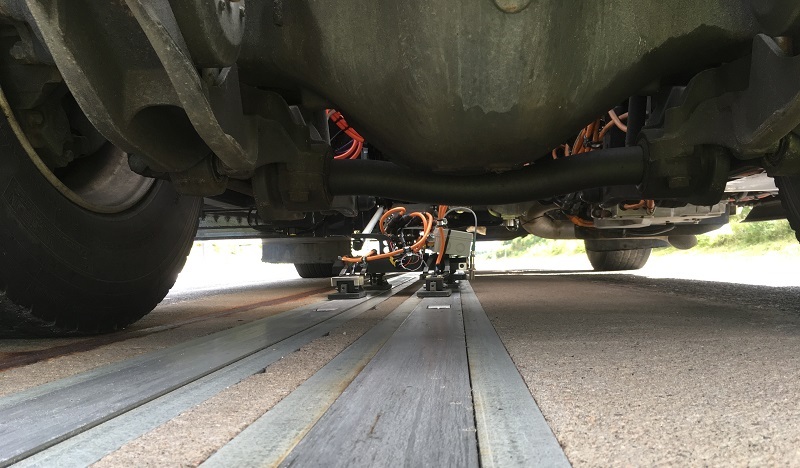 In partnership with Volvo Group, Alstom participates in an Electric Road Systems project initiated by the Swedish Energy Agency, adapting its APS ground-level electrification solution currently used for trams to application for road. A demonstrator designed to power electric trucks is implemented and evaluated on a Volvo Group test track in Sweden. For this project, Alstom has provided the full electrification system, including conductive power segments built into the surface of the road.Europe (particularly Sweden, Germany, UK and France) and the US are the front-runners for the implementation of electric roads. APS is originally a dynamic feeding solution for trams, service proven in 7 networks worldwide including Bordeaux, Rio de Janeiro and Dubai, and totaling more than 30 million kilometres run. Other developments derived from APS include SRS, a system designed for the static recharge of trams and electric buses equipped with on-board energy storage. APS for road has been developed in Alstoms sites in Vitrolles and Saint-Ouen. Alstom is proud to partner with Volvo Group on this innovative and green technology for electric roads. Alstom is well known in Sweden for trains and maintenance, but we are now growing in signalling and infrastructure as well, said Rob Whyte, Managing Director of Alstom in the Nordics. Alstom has been present in Sweden since 1999 and is one of the largest players in the Swedish railway market with more than 300 trains sold. Alstom holds several large maintenance contracts, and the work is carried out in 10 depots around the country. In Motala, Alstom has its own depot for heavy maintenance and rebuilding. Alstom is currently also delivering the new standard national traffic management system to the Swedish Transport Administration, as well as signalling solutions for Tvärbanan tramway in Stockholm.